Beneath ocean waves, behind stone walls, beyond the cedar forests…strange things lurk in the island of Bermuda, and in two upcoming short plays, adapted from stories by celebrated Bermudian author Florenz Webbe Maxwell, children are given a chance to journey to the spooky side of the island, just in time for Halloween. In The Legend of the Secret Place a young boy is adopted by a stern but caring farmer, and allowed to go anywhere on the farm…except the northern side. What is the farmer afraid of? And what awaits the boy in a dark cave on the beach? Then St. David’s resident, Auntie Witch, must use her magic powers to fight against a terrible, invisible monster that wants to make a meal out of geese, dogs…and naughty children! Will Auntie Witch triumph in her fight againt the beast known only as “Red Head an’ Bleddy Bones”? 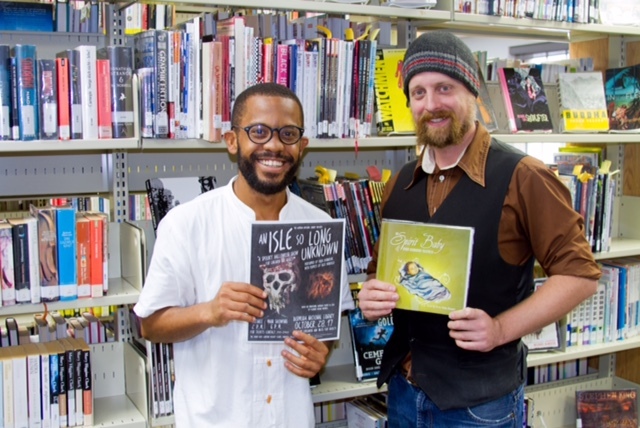 These stories will be directed and presented by Bermudian artists Rajai Denbrook and Alexander Winfield. Denbrook is an expert performer and graduate of the Royal Central School of Speech and Drama, while Winfield is a professional puppeteer, and parts of the stories will be brought to life with his original puppet creations. 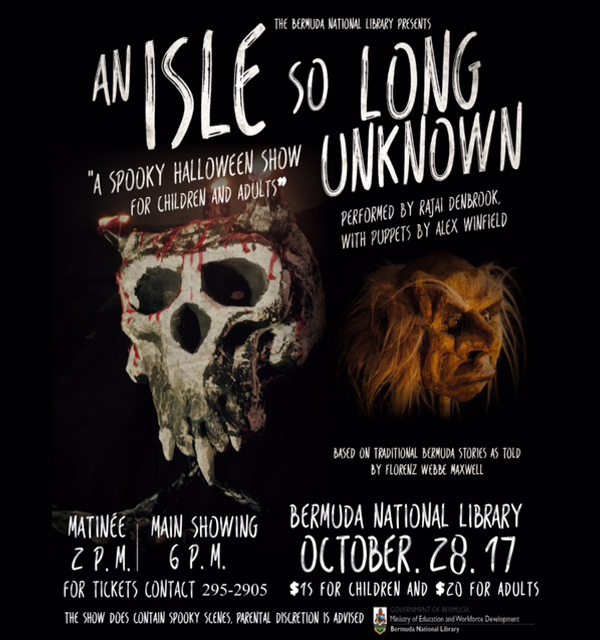 An Isle So Long Unknown will be performed at the Bermuda National Library on the 28th of October, at 2pm and 6pm. Tickets are $20 for adults, $15 for children under 18, and tickets includes a snack and drink during the intermission. Tickets are available for sale in advance at the library [‘Par-la-Ville’ 13 Queen Street Hamilton] and will be available at the door. Reserved tickets should be collected by 5pm on Friday or the tickets will be released for sale on Saturday.